If your child is passionate about the study of marine based science, loves the outdoors and adventure we encourage them to be part of our Specialist Marine Studies Program, set in the pristine Cockburn Sound and Fremantle Coastal marine environment. Your child will gain a greater understanding of the complex issues that impact on our oceans including global climate change, fisheries and food production and maritime pollution. They will take steps to support the conservation and management of the marine environment and develop a greater understanding of biology, coastal physical sciences and coastal management through practical and experiential learning. Your child will participate in snorkelling, SCUBA diving, camps, coastal excursions and boat handling with endorsed and externally recognised qualifications. Our program has strong community links to Fremantle Ports, PADI, Curtin University, UWA, the Australasian Maritime Association and the CSIRO. Your child will develop strong positive relationships and social, leadership and problem solving skills to give them the edge in their future careers. Our state-of-the-art Maritime Trade Training Centre offers a unique, hands on educational experience. Our program can lead to a variety of roles across industries including marine environmental management, fisheries, offshore oil and gas, tourism and recreation, marine biotechnology, biodiversity conservation and marine ecology. Each student enrolled in the Specialist Marine Studies Program will attend Specialist Marine Studies Science Classes and Specialist Marine Studies Practical classes. 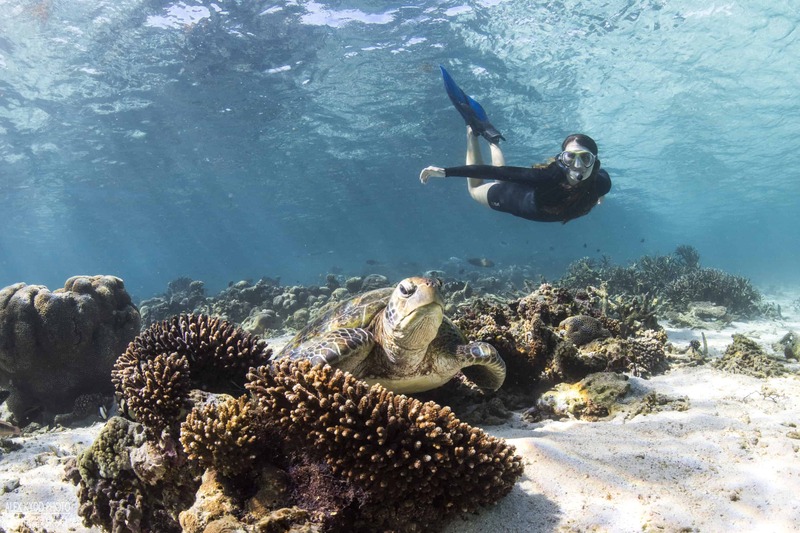 Students can apply to be a part of our Specialist Marine Studies Program by completing the Specialist Marine section of the Application for Enrolment Form. All applicants should have completed the Department of Education Swimming Certificate to a minimum Level 8 and be able to safely participate in water activities such as swimming, snorkelling and scuba diving. The inaugural Year 7 Marine Science Specialist classes have been kept busy this year learning about the importance and biodiversity of our oceans. Our students have increased their knowledge about the various groups of organisms that call the underwater world home, ranging from tiny photosynthetic phytoplankton right up to complex organisms such as marine mammals. On many occasions our purpose-built Science laboratories have become living classrooms, with students engaging in hands-on activities, studying a diverse range of creatures to learn more about the complexity of our oceans. Activities have included live animal observations, scientific drawings, dissections and even the setting up of closed aquaculture systems. To kick start the program, our Year 7 students learned about how scientific discovery starts with Curiosity – one of our 5 school values. Curiosity then leads to discovery through observation and experimentation. Our students have learned about echinoderms – spiny skinned organisms without a backbone. They observed the movements and features of some sea stars and sea cucumbers and learned about how they are able to move using tube feet. Our students were also taught how to draw a concise biological drawing whilst observing freshwater crayfish. Our students have put their knowledge and skills to use by setting up a marine aquarium, which has become home to seahorses, shrimp and marine fish. They have also applied their knowledge of the nitrogen cycle to closely monitor physical and chemical properties in the aquarium maintaining safe levels for the organisms to live. The seahorses are being kept fed and happy with brine shrimp hatched and grown using special hatcheries that the students have built themselves. A strong Marine Science knowledge base has been built throughout the year and our students will have many unique and exciting opportunities to expand this knowledge in the future. Students in other year groups in the Marine Studies program have also been engaging in a number of hands-on activities this year in order to learn more about our marine environment. Our Year 10 Marine Science students studied Genetics in Semester 1. They undertook a project where they bred guppies to determine what genetic traits are passed from parents to offspring. The breeding process did take some time but over the course of the year we had a huge success with breeding and determining genetic traits that were passed on to offspring. Our Year 10 Marine Science class have been involved in the SUBS in Schools Program, supported by School Pathways Program (SPP). This has given our students the opportunity to take part in meaningful, hands on, long term STEM projects. This year our Year 10 Marine Science class have been building Remote Operated Vehicles (ROVs). Fremantle College has been working closely with a range of Marine Industries and local councils. The culmination of this project will see students using their ROVs and a range of other technologies to conduct a marine survey of the artificial reef at the Coogee Maritime Trail. In addition to this, a group of four students, named Team Nautilus, came second overall at the recent State finals. They won more than half of the categories available and finished second in the state. The team will travel to Sydney to represent Fremantle College and WA in the National Finals in December 2018. A select group of our Year 10, 11 and 12 students had the opportunity to attend the Marine Industry School Pathways Program Career Expo held at Fremantle College. increase student awareness of marine science, engineering and defence industries as an employer of choice. provide secondary students with positive career experiences in marine science, engineering and defence industries. support student awareness of and access to pathways into the marine, science and defence industry sector. Feedback from our students was very positive. They were all excited to hear from a range of industry representatives such as marine scientists, engineers and submariners. Our students have enjoyed many hands on learning activities and projects n this first year of Marine Science at Fremantle College. 2018 has been a big year for Specialist Marine Studies, highlighted by our record number of Year 7 applicants for 2019. The majority of our Year 10 Specialist students have completed qualifications such as WA Recreational Skippers Ticket (RST), PADI Open Water Diver Certification and Royal Life Saving WA Bronze Medallion. All of these programs are endorsed by the School Curriculum and Standards Authority which means they can contribute to a student’s Western Australian Certificate of Education (WACE) for Years 11 and 12. The Year 10 expedition to Coral Bay was a success with 95% of our students achieving their SCUBA certification. The trip held many great experiences, including swimming with manta rays, sharks, turtles, humpback whales and much more incredible marine life. Students viewed many different parts of the Ningaloo Reef via glass bottom boat, under water scooters, snorkelling and SCUBA. The students who attended represented the college and program with distinction. Throughout the year, the same group completed units of surfing at Leighton Beach, fishing at various locations and Bronze Medallion in Term 4. To complete the WA RST students are required to achieve an 85% pass mark on their theory exam and achieve a minimum score in the practical of 56/62. As it stands we have had a 100% pass rate with these students, they should be proud of themselves as they have worked extremely hard for their achievements. 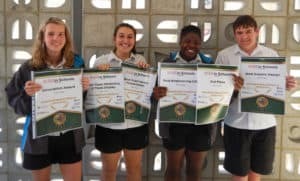 Our Year 9 students have completed surfing, sailing, fishing and snorkel units this year, with their practical experiences culminating in Term 4 Rottnest camp. This always proves to be an enjoyable camp, as student’s fitness, skill and knowledge are tested daily. Students have been building their skill set in snorkelling with the introduction of weight belts as a lead into their busy program schedule next year and beyond. The Year 7 and 8 groups have utilised the school pool in term one and four, continually building their swim, snorkel and aquatic safety knowledge and skill base. In off-site units, the Year 8 students very much enjoyed bodyboarding as a lead into their stand up surfing for next year, and the Year 7 students have displayed fantastic attitude in all their off-site snorkelling and activities. Both groups shared some fun and challenging activities on their camps to Point Peron and Woodman Point Camp Schools, such as mountain biking, abseiling, flying fox and kayaking. We have had many great extra curricula experiences this year with students helping out at the Marine Taster day for Year 5 students from various primary schools, Maritime Day at the Fremantle Ports in October and the Beach Clean Up Day at Bathers Beach in November. I would like to thank our fantastic marine staff who have all put in a lot of work to ensure we continue to deliver the best possible program for our students. We are looking forward to another great year in 2019, as we look to build on what has been a fruitful start for our program as Fremantle College Marine Studies. Thank you to parents, students and our community partners for your continued support.